Transparent screen protective film with shock absorption feature - protects even major impact also during a fall. 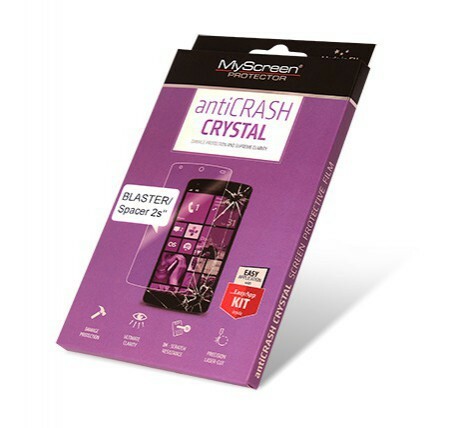 Protects your screen against scraches, dust and dirt. Does not interfere with touch screen function. Easy to spply without air bubbles and to remove without any residues. In the package you will find: 1 pc. dedicated antiCRASH CRYSTAL film, 1 set of EasyApp KIT, wet cloth, dry cloth, application card, multilingual manual.